card! If you haven't yet purchase a card collection you NEED to ASAP. These kits are such good value and you don't have to just be limited to Project Life Memory Keeping - they are perfect for fun, quick and affordable cards too. 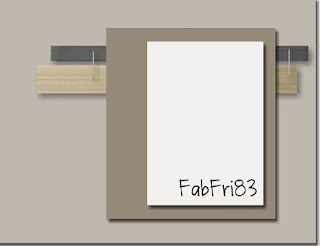 I am playing along with Fab Friday today as it is just FAB! Here is the sketch that inspired my card. Don't fall over - yes I am using ribbon on a card.... I don't often do this, so it's even a surprise to me! To make this card all I did was mount the Project Life card to the Bermuda Bay backing. 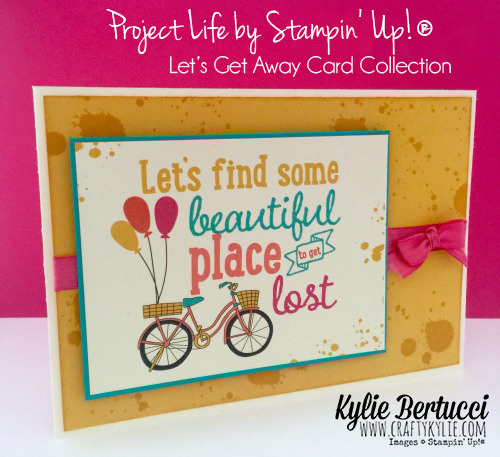 The background is Crushed Curry the same that is used in the Project Life® card. I then used the Gorgeous grunge stamp set to give the same effect as what is on the card. As I said very simple and it was FAST! Have a look at how many cards you get in the card collection for only $28. Thank you for coming by today! 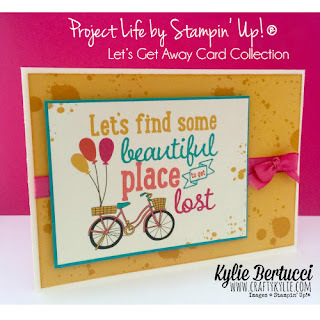 Make sure you look out for my next post as I am taking part in a blog hop with Stampin' Up!® Demonstrators from around the world that have earned our Stampin' Up!® Incentive trip to Europe in May. Our theme this month is Wedding Dreams. I am sure you are going to love all the romance in this hop tomorrow. Click here to sign up to get my blog updates by email so you don't miss out. Also make sure you head over to the Fab Friday Challenge blog this week as there is lots of inspiration from the designers and those that have played along.